Susan Mundry is currently deputy director of Learning Innovations at WestEd and the associate director of WestEd’s Mathematics, Science, and Technology Program. She directs several national or regional projects focused on improving educational practice and oversees the research and evaluation projects of Learning Innovations. She is codirector of a research study examining the distribution of highly qualified teachers in New York and Maine for the Northeast & Islands Regional Education Laboratory and is the project codirector for the evaluation of the Intel Mathematics Initiative, a professional development program for elementary and middle grades teachers aimed at increasing student outcomes in mathematics. She is also a Principal Investigator for two National Science Foundation projects that are developing products to promote the use of research-based practice in science and mathematics. Since 2000, Mundry has codirected the National Academy for Science and Mathematics Education Leadership, which provides educational leaders with training and technical assistance on professional development design, leading educational change, group facilitation, data analysis and use, and general educational leadership, as well as access to research-based information to improve teaching and learning. Building on this work, she provides technical assistance to several large urban schools districts engaged in enhancing leadership and improving math and science programs. As a senior research associate for the National Institute for Science Education (1997-2000), Mundry conducted research on attributes of effective professional development. She served on the national evaluation team for the study of the Eisenhower Professional Development program led by the American Institutes for Research, where she worked on the development of national survey instruments and the protocols for case studies. From 1982 to 1997, Mundry served in many roles from staff developer to associate director at The NETWORK, Inc., a research and development organization focused on organizational change and dissemination of promising education practice. There, she managed the work of the National Center for Improving Science Education and the Center for Effective Communication, provided technical assistance to schools on issues of equity and desegregation, oversaw national dissemination programs, and co-developed the “Change Game,” (Making Change for School Improvement) a simulation game that enhances leaders’ ability to lead change efforts in schools and districts. 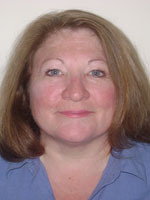 Mundry has written several books, chapters, and articles based on her work. She is coauthor of the best selling book, Designing Effective Professional Development for Teachers of Science and Mathematics (2nd edition), as well as Leading Every Day: 125 Actions for Effective Leadership, which was named a National Staff Development Council Book of the Year in 2003. Her latest book is The Data Coach’s Guide to Improving Learning for All Students (2008).